If you are looking for the best HEPA air purifier that can keep a huge room or the entire house clean, the Air mega 400S Smart Air Purifier is a great choice. This powerful air purifier can clean the air for an area up to 1,560 sqft . The 400S also includes smart features including Alexa compatibility, filter monitoring, scheduler and an intelligent mode make the 400S more comfortable and more convenient to use. Yes, an air filter this powerful is a bit pricey, but it’s also more powerful than most portable air purifiers. Read my full review below to learn about this beast's best features and its limitations. If you are looking for a less expensive or a smaller air purifier, then check out my other top recommendations in my HEPA air purifier buying guide. Purifies a large area quickly and efficiently. Multiple modes and settings to suit different situations. Smart features including WiFi, app control and Alexa compatibility. High-performance purification – ideal for those with asthma or allergies. 2-in-1 HEPA and activated carbon filter. WiFi setup isn't the easiest. The Airmega 400S provides one of the largest coverage among portable air purifiers. Most portable models cannot purify rooms consistently beyond 500 square feet. The 400S can keep a full 1,560 sqft clean. So if you are looking for a portable air purifier that can adequately cover a large open room or multiple rooms, this is it. It’s pricey but you get excellent value for your money. You may only need one purifier to keep your entire home clean. One reason why the 400S is so powerful is the dual suction system. Most air purifiers take in air through one inlet. This limits how much air they can ingest per minute and how much air they can purify in a given period. The 400S ingests room air through two sides before pushing out purified air from the top. This allows it to purify more air within a short amount of time. In other words, it has a higher airflow (CFM) than most other portable air purifiers. This is great for people with asthma or allergies as it ensures the air in your entire home stays clean. When used in the maximum area of 1,560 sq. ft. it makes 2 complete air exchanges per hour. That is, it purifies all the air in the room about every 30 minutes. The smaller the room, the more air changes it makes. In a room of 780 square feet, it will clean the air once every 15 minutes. Note that maximum air flow and coverage is possible only when the fan is operating at the highest setting. 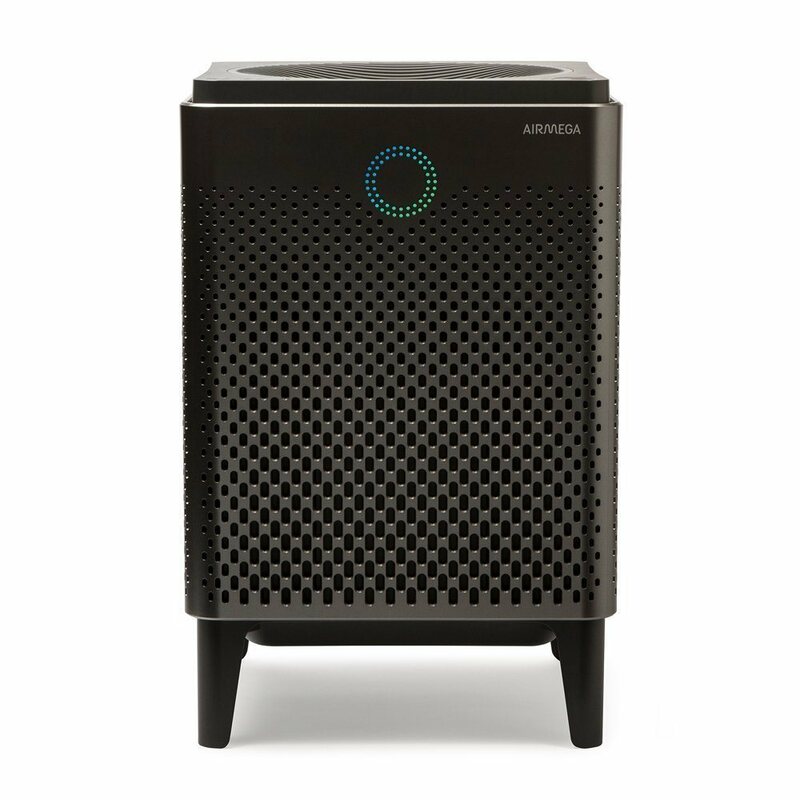 The Airmega 400S air purifier includes two sets of filters. There is the mesh pre-filter which captures larger debris like pet hair, fur and dust. After that there is a dual filter consisting of an activated carbon filter to capture odors and VOCs as well as a true HEPA filter that can capture 99.97% of airborne pollutants and allergens as small as 0.3 microns. Indicators on the purifier’s control panel show how much life time is left for the filters. 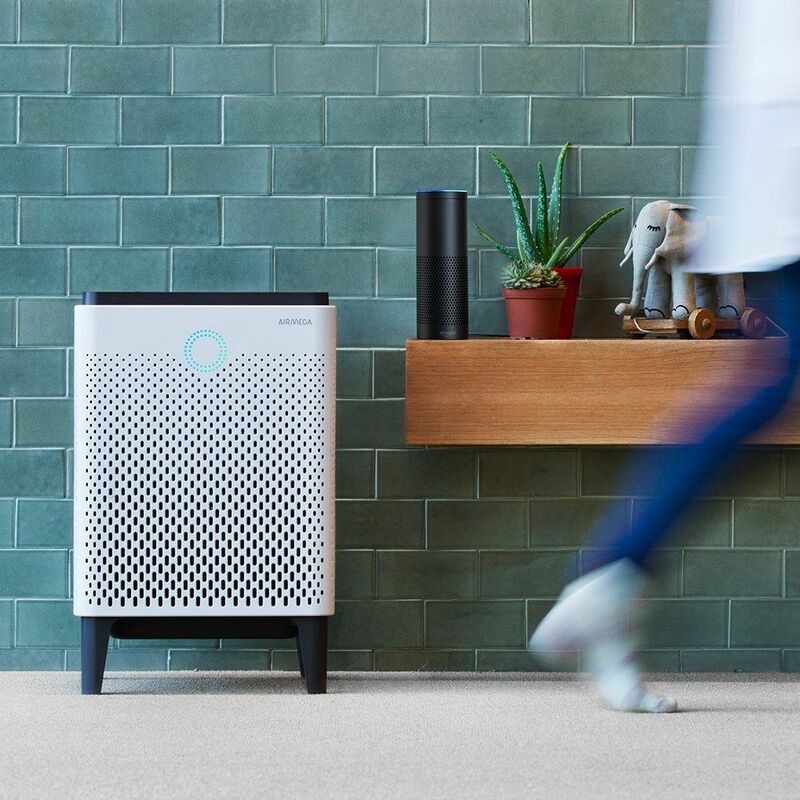 Unlike most purifiers that remind you to change the filter based solely on time, the 400S considers your usage as well as the air quality in your home. The life time is indicated in terms of percentages starting at 100%, then 80%, 60%, 40%, 20% and 0%. When the indicator lights up it’s time to either wash the pre-filter or replace the Max2 filter (the dual HEPA and activated carbon filter). The Airmega 400S has two main operating modes. There is a smart mode which automatically varies fan speed based on air quality. If it detects that there is clean for at least 10 minutes it activates eco mode. It shuts down the fan to save energy. Eco mode will be automatically deactivated if the air quality sensor detects dirty air. The smart mode also activates sleep mode automatically when the integrated light sensor detects that it is dark. This reduces fan speed to reduce noise level. There is also a manual mode where you can select the preferred fan speed from the control panel or app. When you select a specific fan speed, the purifier will not activate eco or sleep mode. The 400S is a smart air purifier. You can connect it to WiFi (2.4GHz only) and operate it remotely using the companion mobile app. You can also connect it to Alexa and control various settings through an Echo smart speaker. The app is fairly easy to use and has all the same settings available on the control panel. This includes a timer (1, 2, 4 or 8 hours) and a scheduler to automatically switch the purifier on or off at a specific time. A few months ago, lots of verified owners complained that you can’t turn off the bright display light. But this has since been resolved. As you set a schedule for the air purifier, you can also set when the light will go off. In order to voice-control this unit via Alexa, you’ll need to first enable the Airmega skill through the Alexa app. get an air quality update. 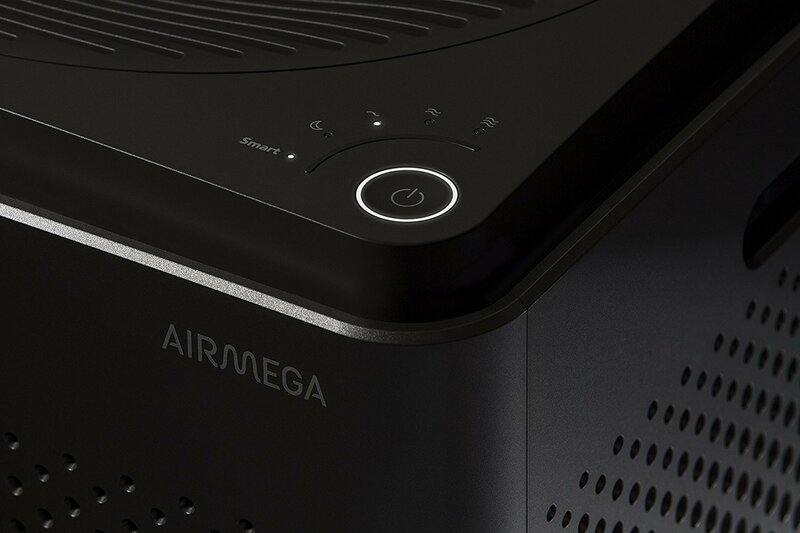 The Airmega 400S comes with an integrated pollution sensor that constantly measures how dirty your air is. You can see your home’s air quality simply by looking at the brightly colored LED ring at the front. It changes color depending on how dirty the air is. You can also check the app for real-time air quality readings as well as a history of past air quality reports. 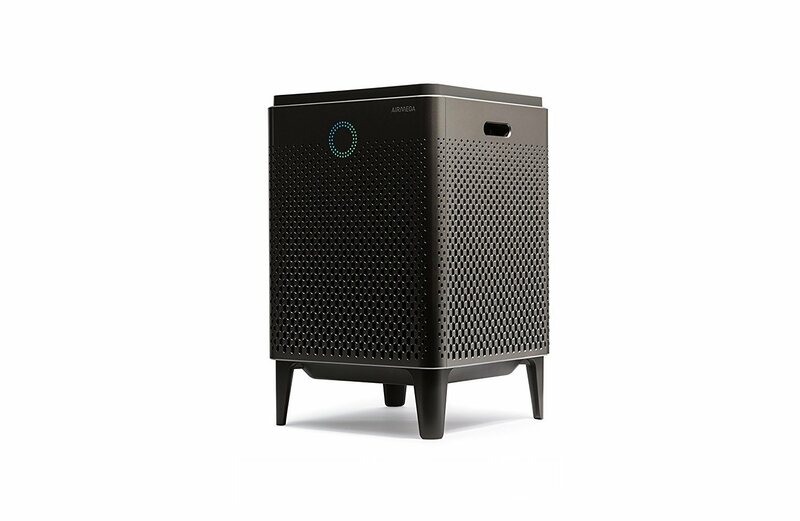 Costing over $700, the 400S is one of the most expensive portable air purifiers. But then again, it can purify an entire home, so if you need your entire home clean then it actually saves money and simplifies a lot. Many verified owners agree that setting up the WiFi connection can take a bit of time. Android users tend to experience more issues when trying to connect the air purifier to their router using the app. But the company is available to offer help with setup and any other issue. While more expensive than most compact air purifiers, the Airmega 400S offers unmatched coverage for large rooms, entire small homes, multiple rooms and open office spaces. The 3-filter purification effectively keeps pollutants, allergens and odors out of the air. The air quality sensor and real-time reports keep you aware of how clean or dirty the air in your home is. Overall, this is a great air purifier for anyone who needs to keep a large space clear and free of allergens and pollutants.